Very Positive (13) - 100% of the 13 user reviews in the last 30 days are positive. Very Positive (292) - 98% of the 292 user reviews for this game are positive. Mac Players, Check the BETA branch! As you may know, since launch we've been struggling some rendering/shader issues on Mac (making the bard turn black on some screens). These stem from engine issues in Game Maker Studio 2, and we've been working with Yoyogames since before our release to get a perfectly stable version out to players. But we've been assured that the new version works flawlessly for them, so it's possible that we're experiencing a rare issue that won't hold for most users. It's hard for us to know, and that's why we've decided to put the build on Steam and open it to everyone to test! To access it, right click the game in your library, go to PROPERTIES, then the BETAS tab, then select "beta" from the dropdown menu. Even if the game worked for you before, we'd appreciate it if you tested this. Let us know whether or not the beta build works for you! This will help us figure out our next steps to get a perfectly working build out to every Mac user. 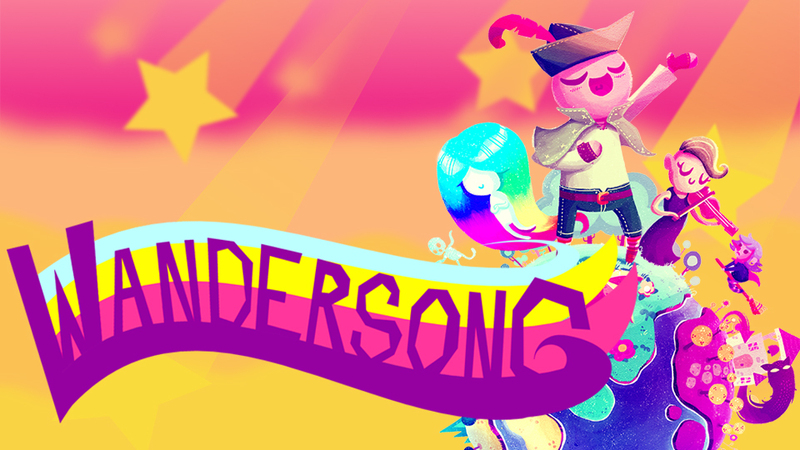 Vote for Wandersong in the IGF Audience Award! If you love Wandersong and want to help us get a neato award, VOTE FOR US HERE! :) The competition is fierce and our chances aren't great, but your support always means the world to us. Use singing to interact with the world! 150+ characters to meet and discover! 150+ characters to annoy with your singing! The DANCE BUTTON... dance anytime, anywhere! Fully accessible to color-blind and deaf players!